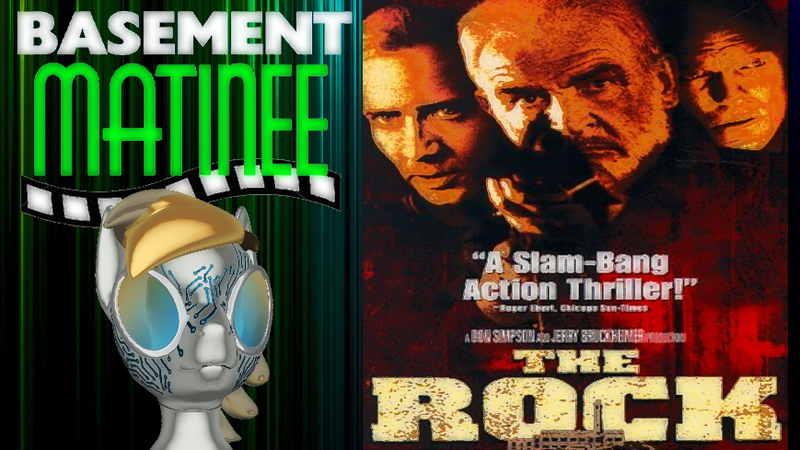 Tonight I found myself watch the 1996 Film 'The Rock' and something about it reminded me of a lame duck theory... that this film could be considered a 'James Bond' movie. 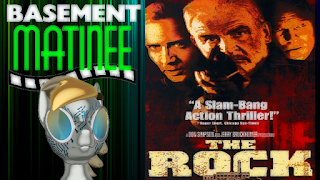 You know for a time, just about every spy-thriller was considered a ‘James Bond’ knock-off, with often comparisons to the Sean Connery lead films... but one thing these films didn’t have was ‘James Bond’... but then in 1996, a little film starring Nicholas Cage, Ed Harris and of course Sean Connery, who plays a character that one could say is James Bond in everything but ‘name’. 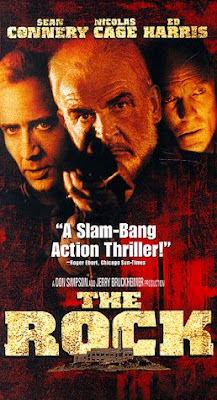 Now first up, have to mention the director Michael Bay... and this was his second film following Bad Boys, and of the films that Bay pas involved with, I consider this to be his best work, nothing overly complex, a straight forward story of stop the bad guys. The plot is this, Ed Harris plays Brigadier General Hummel, who after many years has grown tired of losing men in combat and their families not receiving any benefits because the missions he was on were black ops, totally off the books so if something went wrong, it meant the US Government would not acknowledge them. He leads a group of Marines turned rouge who steal some chemical weapons and proceeds to take over the former prison Alcatraz, taking 80 hostages in the process. 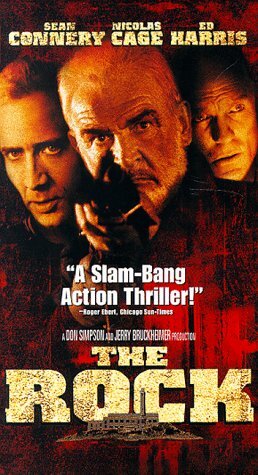 The FBI and Pentagon come up with a couple of plans, the first is to send in a US Navy Seal Team with a chemical weapons specialist Stanley Goodspeed played by Nicolas Cage, who is ‘okay in the lab’ but has no field experience to neutralize Hummel’s weapons. Cage's performance is somewhat all over the place, subdued in some areas and over the top in others, but considering his character is supposed to be in over his head, it works for the purpose of the story being told. Now where does Sean Connery figure in? Well he plays John Mason, a former British national who’s been in federal custody for 30 years, and at one point he was incarcerated at The Rock, but escaped in 1963, only to be recaptured some undisclosed time later. Throughout the film there are numerous references to Mason’s exploits and his general attitude and person is basically Bond’esq. The reason he’s been in federal custody is because he stole a microfilm containing many secrets that the United States government. He’s brought out of prison and basically forced into helping the Seal Team into the former prison. The films itself at a little over two hours, is filled with a lot of action, some great character moments. Ed Harris is great as General who wants the right thing to be done by his fallen comrades, and sure his tactics are drastic, but he certainly knows the stakes are high. 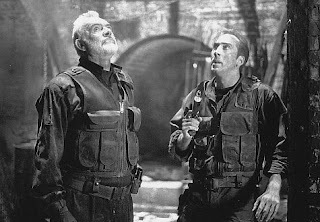 Connery and Cage had some great chemistry, and thankfully Cage even at that point in his career had plenty of charisma so that he’s known blown off screen by Connery’s coolness. So if you’ve never seen it, give it a shot, it’s certainly a perfect film to watch on a weekend. And at this point in time, I do know it’s up on Netflix. That said my friends and you are my friends, we’ll back for a Recap & Review for tonight’s WWE Roadblock End of the Line event.